A very clean and easy to drink coffee using high quality Arabica beans. This blend offers a deep, nutty flavour with the sweet, coating body that is perfect in the morning. Similar to our Continental Blend, although offers less dark roast flavours but more sweetness. Easy to drink and a great way to impress friends, guests and family. Each sachet contains 60g, offering a strong, well-balanced cup each time. 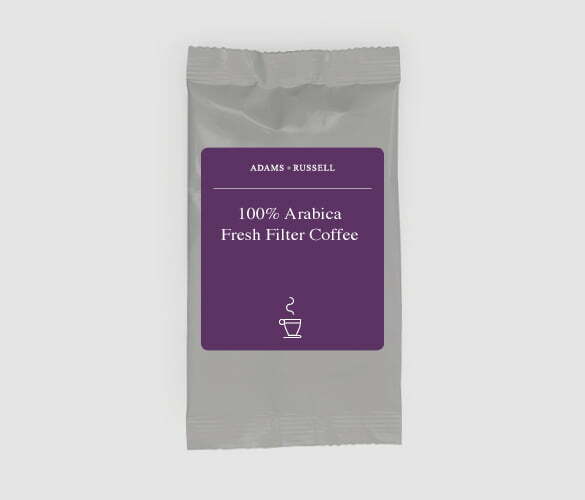 Each box also contains filter papers making it quick and easy to delve into your favourite coffee. Colombia is world-renowned for producing exceptional coffee. Its proximity to the equator gives the country a tropical climate, which only enhances the flavours of the beans. Good soil quality and high elevations also add to the quality of these Central American beans. With so many individual farms and techniques used in the country, a variety of flavours and characteristics are produced. The volcanic soil, the elevations of up to 6,000 feet and the hot climate all contribute to the success of this country’s production. Colombian coffee is known for its undeniable richness, with subtle hints of sweet fruit and citrus. This country only grows pure Arabica beans, which are of a higher quality than Robusta. The process from the beans in the tree to a delicious beverage is probably more complicated than you think. They are then ground and brewed and ready to be enjoyed!